The first step of making this yummy smoothie is to prepare our ingredients. Peel and cut the ripe banana into pieces.Put it in a plastic bag or something like that and put it in the freezer for at least 2 hours.Or overnight. 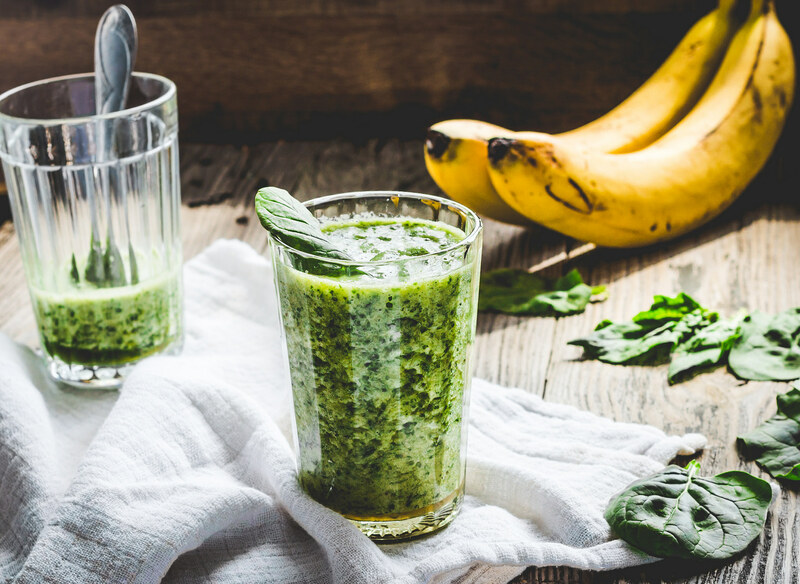 Put the frozen banana with the washed spinach in a high speed blender. Add the milk of your choice and the ice cubes. Blend everything together for about 1 minutes,until you reach the desired consistency. Pout the ready green smoothie in to large cup or glass,serve and enjoy the yummy taste. Today we will make the best tasting banana and spinach smoothie.This smoothie is so creamy,yummy and thick.And so tasty and sweet of course.It is really healthy.The perfect way to have some greens.They are really important for our health.Especially the spinach.